This wooden gift tag is a thoughtful way to finish off a gift for your baby prince. 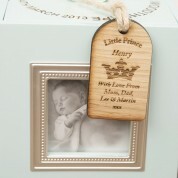 We engrave the recipients name and short love from message in house so it is custom made for him. 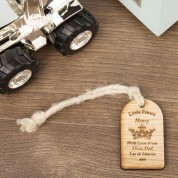 Each tag comes with a hanging loop of flax twine so it can be easily attached to the gift and then hung up in the boy's bedroom after the gift has been unwrapped. The colour of the wood may vary from the pictures shown due to wood being a natural product and the grains of wood varying from tree to tree. Dimensions: Size approx 3.5cm wide x 6cm high and 5mm deep. 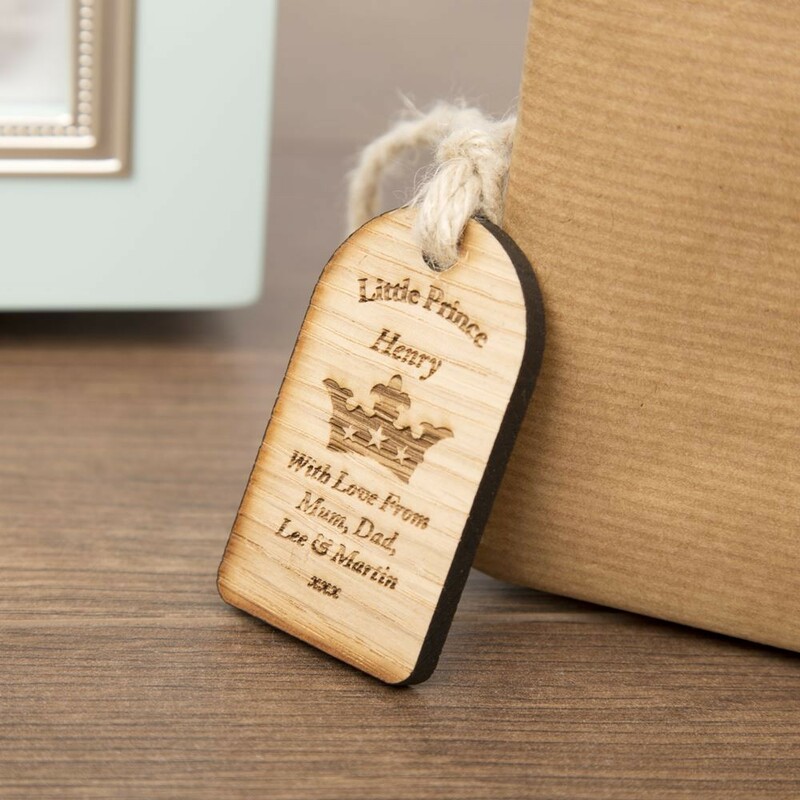 Made from scottish oak.